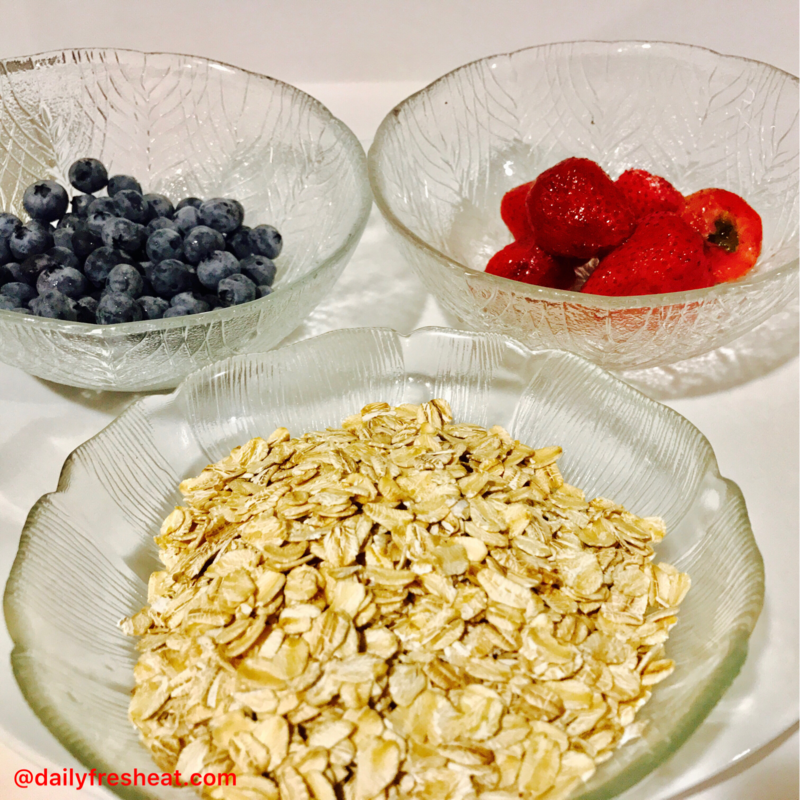 • Take a jar or a bowl and add a serving of old-fashioned oats. • Fill the glass with the quantity you can finish the next morning. Add the seeds. 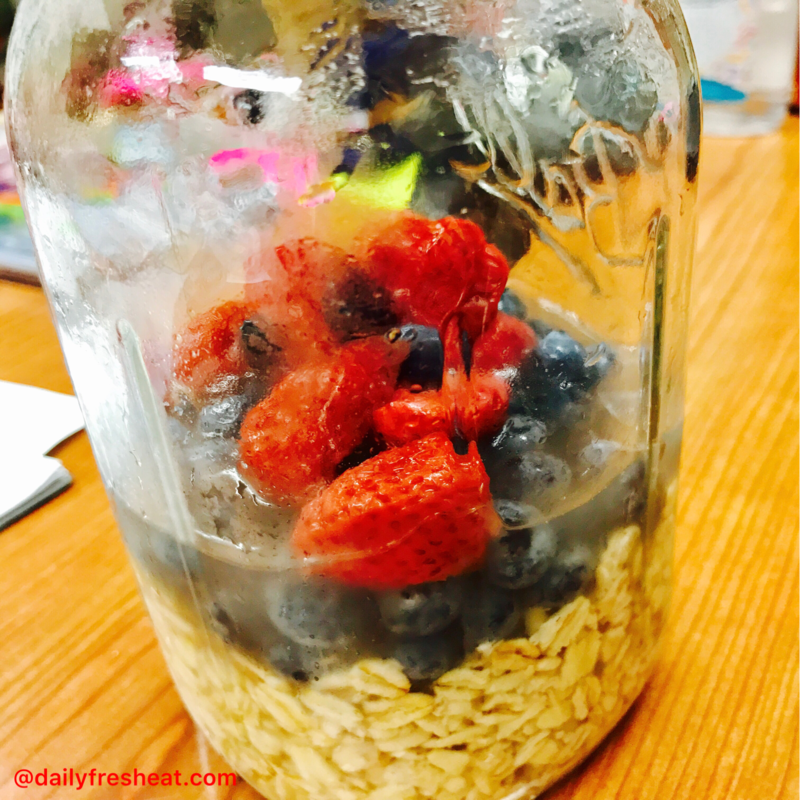 • Fill up the glass with liquid until the oats are well covered. You can use milk, coconut milk, or any other milk or liquid you prefer. • Add your toppings. Such as nuts, seeds, raisins, berries, banana, cherries, apples or pears, peanut butter, coconut flakes, fat-free yogurt, etc. (note: you can add your toppings in the morning if you want them to crunch or add them at night to soak with oat). • Cover the lid and put it in the fridge. • Bring it out in the morning, and add any sweetener if you want, then enjoy! 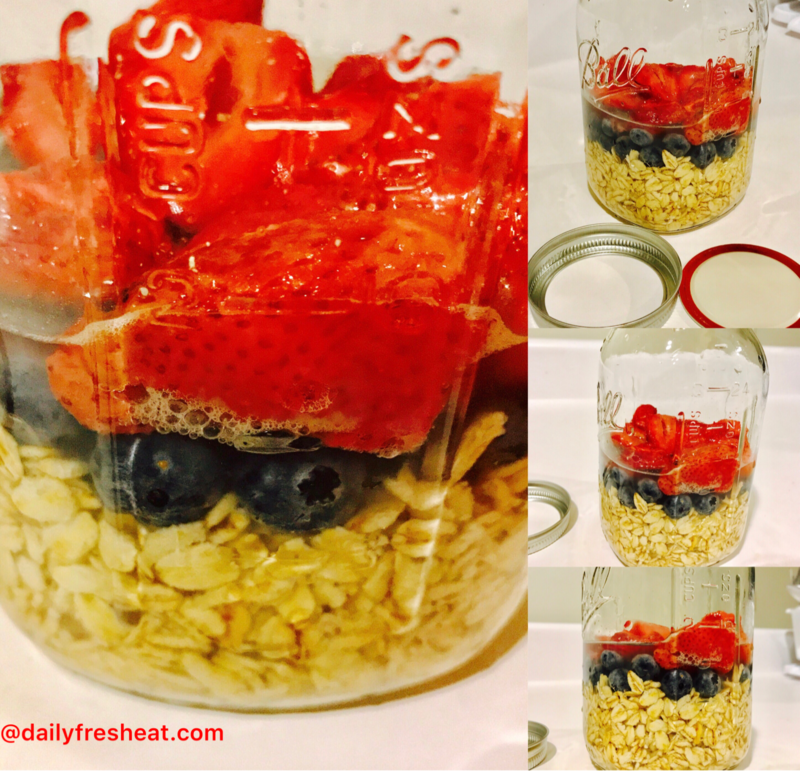 Point: You can go to work with overnight oats prepared in a sealable lid jar.